stillcap.exe a console application that allows to easily take snapshots from a script, an application, a Command prompt, the task scheduler, etc. 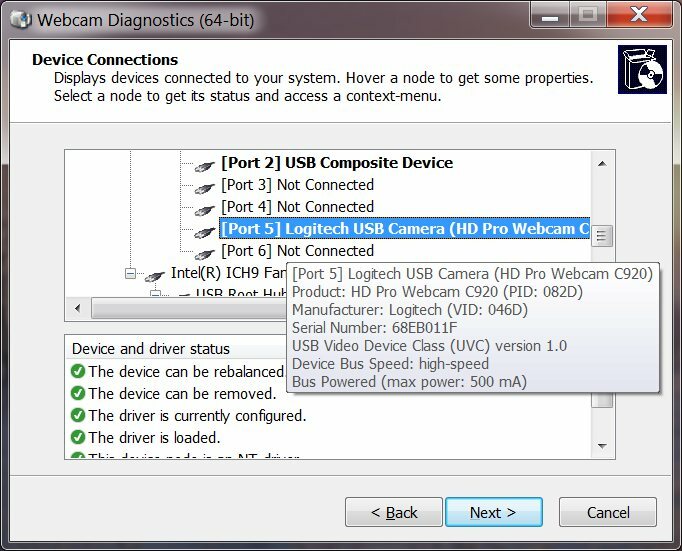 Webcam Diagnostics is a simple assistant which gathers many system and webcam-related information in a single place. It makes it easy to identify driver installation problems or USB issues: red circles will signal serious issues and yellow triangles will signal minor issues. Right-click a reported issue to access the context menu and click the Fix menu (if available) so that the program attempts to fix the issue or shows you a possible way to fix it. If you are ensure if your system meets the requirements I recommended you to run the wizard before installing your webcam. I plan to enhanced the program over the time to bring additional features and to improve the analysis. Your suggestions and feedback are very welcome. Please note though that the program may not be able to identify buggy drivers. 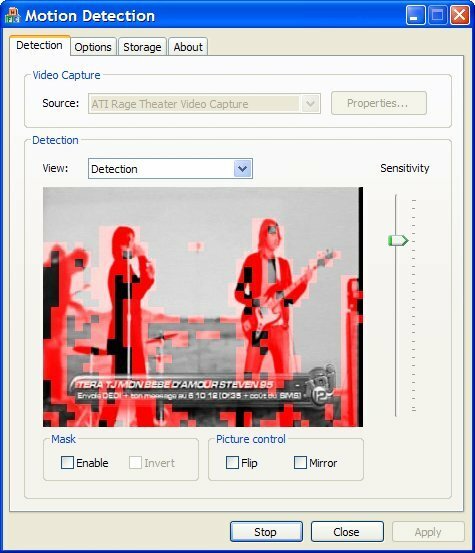 Motion Detection is an experimental application that saves still pictures and/or makes .avi files when anything in motion is detected in front of the selected webcam. The pictures and the frames of the movies are timestamped. New features include a mask, picture flip/mirror and an "always on top" option. See the included readme.txt file for important release notes. If after extensive testing, you are satisfied with this program, please click the link below to purchase a fully functional version without any restrictions. 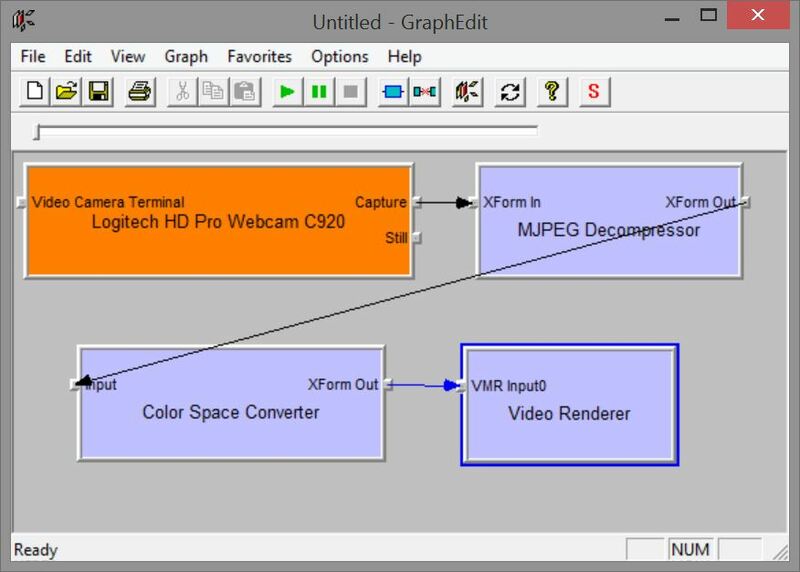 GraphEdit Installer allows you to install Microsoft GraphEdit without the need to download the whole Windows SDK. It also automatically registers the two required DLL so that the application is readily and immediately available. You can optionally create desktop and start menu icons for an easy access. Both x86 and x64 versions are provided in the archive. 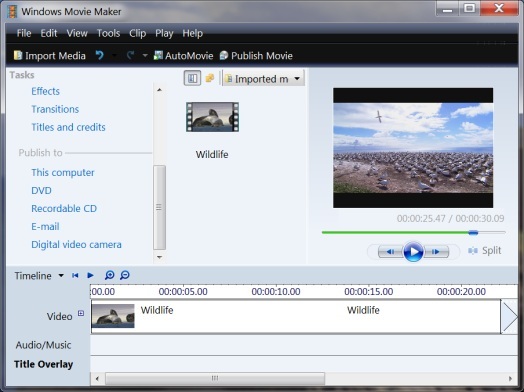 Microsoft Windows Movie Maker is a video editing application by Microsoft available to Windows XP and Windows Vista users. Windows Movie Maker Installer allows you to install Microsoft Windows Movie Maker 6.0 in a fresh installation of Windows 7 (or later). You can then enjoy again DV export and a true timeline not found in the new Windows Live Movie Maker. 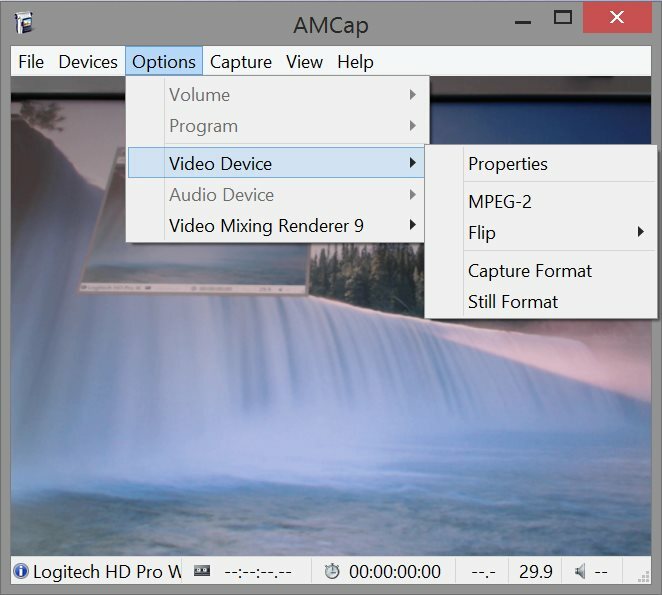 Both versions of Movie Maker may be installed side-by-side though if needed. This installer supports both 32-bit and 64-bit platforms.